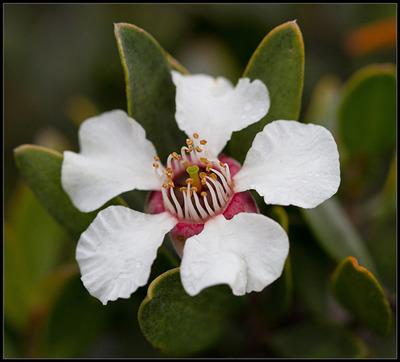 Handsome rounded shrub from eastern Tasmania. Greyish-green small leaves and white profuse flowers in autumn. Drought and shade tolerant. Great screen or informal hedge and cut flower. Propagation Information: Seed germinates readily. No pre-treatments required.